Nik Faisal Ariff Kamil di bengkel milik Pak Kris di Wirun. 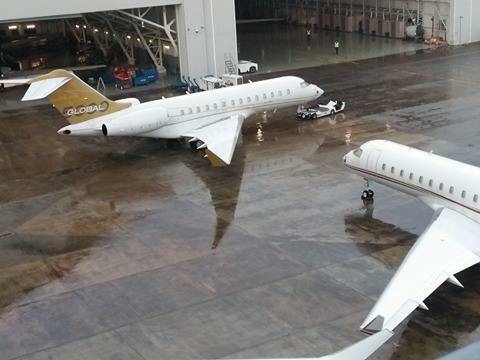 We have friends in Singapore keeping watch at Seletar Airport on the movements of the Jet Global 5000 bought with 1MDB money. They put the Jet in the hanger. We know.They paint over the registration number N689WM we know. They take the Jet out of the hanger. We know. They put the Jet back into the hanger we know! We also have friends in Indonesia too! Remember these tiga individual yang diminta hubungi SPRM? Jho Low is tripping the light fantastic on his 91.5 meter yacht Equanimity! Now where is Nik Faisal? No one in Malaysia seems to know where to find Nik Faisal Ariff Kamil….or maybe the right word to use here is that no one in Malaysia wants to know where Nik Faisal Ariff Kamil is. My friends in Immigration tells me that Nik Faisal comes in and out of Malaysia at will. The operative word here is “at will”. At whose “will” is for you to work out but if the Head of Immigration tells his men to close one eye and shut the other to the coming and going of Nik Faisal go figure out who tells the Head of Immigration to do so! Our friends in Indonesia tells me that Nik Faisal Ariff Kamil is in Indonesia – in Jawa Tengah…to be exact in Wirun, Sukoharjo. 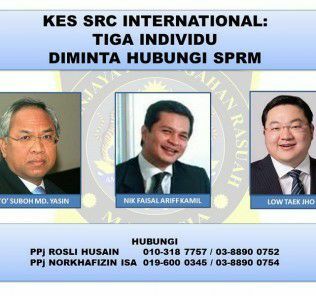 Nik Faisal Arif Kamil Flees to Indonesia : Still CEO of SRC International : Can still leave and return to Malaysia at will. Still holds PA over Najib’s personal bank account! And one other thing before I finish off on this one…our friend in Indonesia is also working on that FGV and PT Eagle High dodgy deal. Things are not what they seem to be!. And when I know the juicy details….so will you! By Hussein Abdul Hamid|2018-07-14T06:13:06+08:00March 23rd, 2017|Categories: Uncategorized|Tags: Jho Low, Najib, Nik Faisal Ariff Kamil, SRC|Comments Off on Nik Faisal Ariff Kamil di bengkel milik Pak Kris di Wirun.